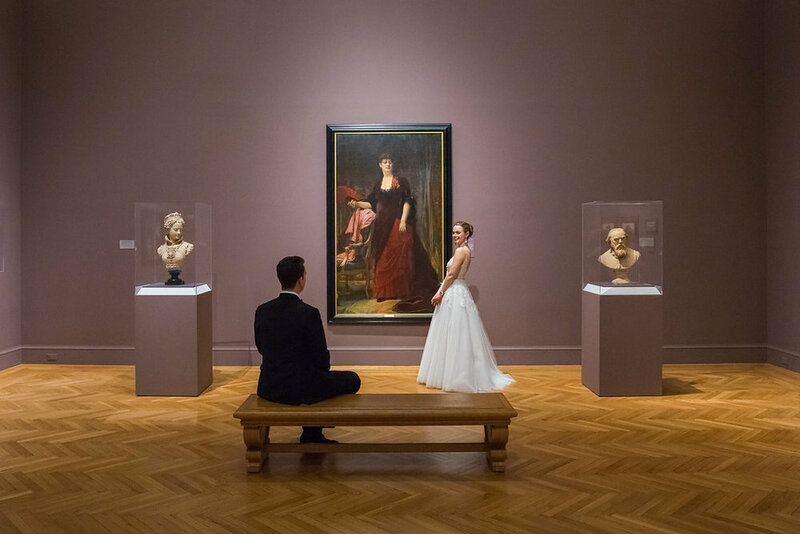 The Legion of Honor has long been one of San Francisco’s most popular venues for weddings, receptions and a variety of private events. Overlooking the Pacific Ocean, Golden Gate Bridge and all of San Francisco, the Legion is most noted for its breathtaking setting. Its collections include Rodin’s Thinking, which sits in the museum’s Court of Honor, European decorative arts and paintings, Ancient art, and one of the largest collections of prints and drawings in the country. All of the galleries are available for private viewing during exclusive events.